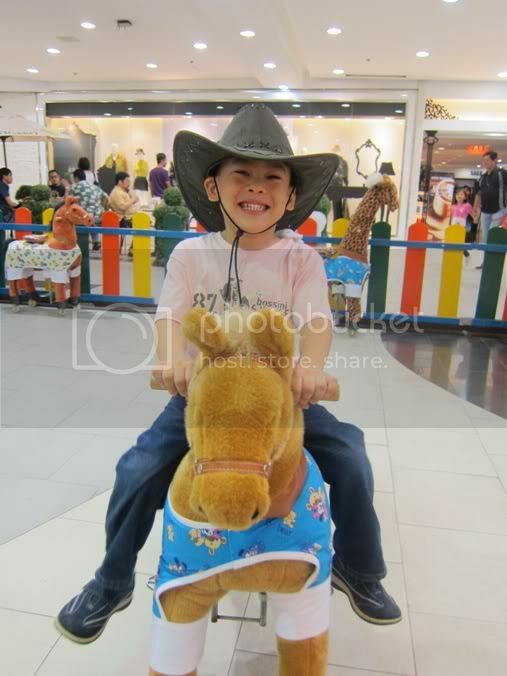 My son loves riding the LuvPony at Robinsons Galleria. What he likes about the LuvPony Kiddie Ride is that he gets to be a real cowboy for a few minutes. That’s because he is the one controlling the pony he’s riding using his legs, arms and waist. He also gets to wear a cowboy hat. There are several Stetson hats to choose from, but the gray hat he’s wearing looks really good on him. What do you think? This entry was posted in Cowboy Hats, LuvPony Kiddie Ride. Bookmark the permalink. ← Do You Know the 8 Commonly Misused Words?